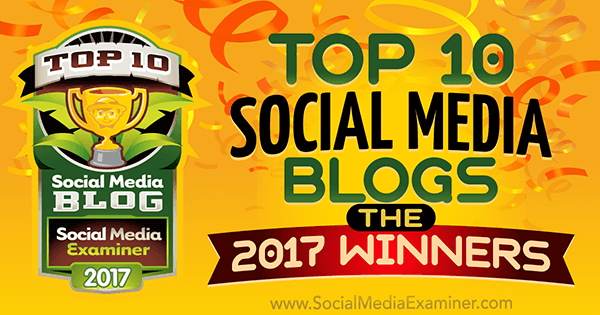 "Our eighth-annual social media blog contest generated hundreds of nominations. A panel of experts carefully reviewed the 20 finalists based on their content quality." 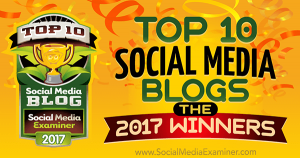 "Here are the top 10 social media blogs you should add to your regular reading list in 2017."